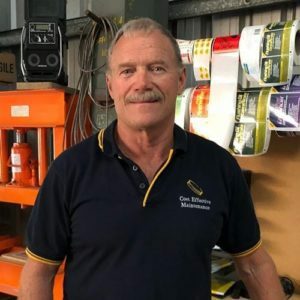 Born in 1951, Brid Walker’s career started in research with CSIRO, but it wasn’t until a further 12 years, when he turned his passion for vehicles and machinery into a career, and founded Cost Effective Maintenance (CEM). 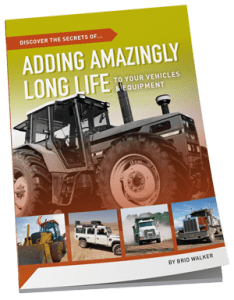 For over 30 years, he has focused on helping his customers reduce their machinery maintenance problems, by using specialized, innovative products and procedures. The close association that Cost Effective Maintenance has always had with their many private owners and small fleet operators has been crucial in providing essential feedback on the variety of problems they encounter. This was (and will always be) an efficient and essential component of CEM’s problem solving strategies. Brid has worked extensively in the mining industry to achieve fuel efficiency benefits in large open cut mining, and diesel power generation equipment. His personal studies linking combustion efficiency with engine deposits and wear have made him an authority on the subject. 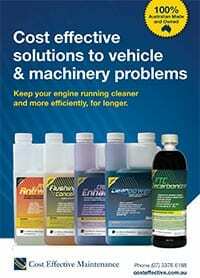 His approach to finding solutions to the many and varied problems displayed by vehicles and machinery always starts at the very basic level, whether that be chemical or what’s happening at the microscopic level. Walker has acted as a consultant to the large Porgera gold mine, in the Central Highlands of Papua New Guinea, where because of the high altitude, diesel smoke emissions were just shocking. His recommendations resulted in dramatic reductions. With another client, a large Australian bauxite mine, Walker guided them to better engine life, by focusing on changes that reduced diesel smoke particulates.